Oh, sleep. It’s that one thing we seemingly can’t get enough of, yet if we get too much we wake up equally as tired and drowsy. Think of how much weight we give to sleep. We essentially chalk up our daily successes or setbacks to our quality of sleep the night before. 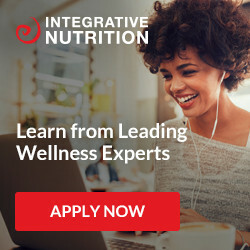 Want to perform well on an exam? Get a good night’s rest. Can’t focus? Must’ve slept poorly last night. Feeling a little irritable? Had to have woken up on the wrong side of the bed. Bottom line is that sleep is important, and in order to function optimally, we need to snooze deeply. 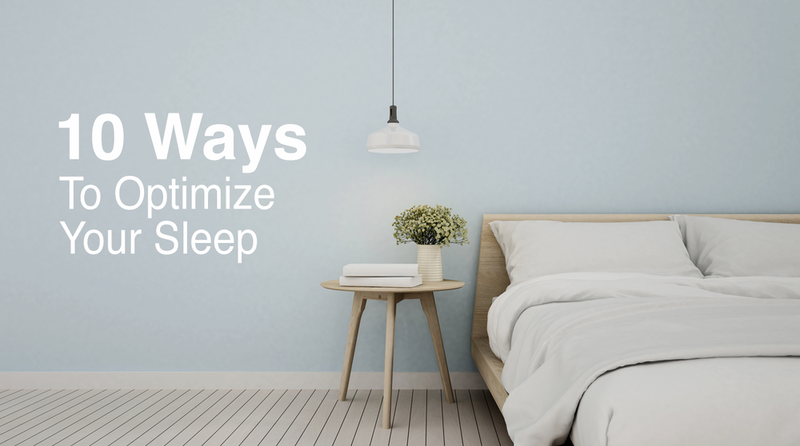 Forgo the sheep counting and catch z’s with these 10 ways to optimize your sleep. Don’t you just love hotel curtains? Close those blackout shades and you could sleep ‘til noon, right? Well, turns out a common reason why you’re not drifting off into a deep slumber is because the room’s not dark enough. Use blackout shades and True Dark Dots to block out any light that may be radiating from devices such as a TV, laptop or alarm clock. If you want to keep it simple, use an eye mask. What is junk light? It’s essentially any light that isn’t natural. Our bodies are synced to natural light, so if we’re stimulated by anything in the blue light spectrum like phone screens or tv’s, we’re keeping the body awake. Junk light suppresses the production of melatonin and delays the body’s ability to fall into deep sleep. It’s especially important to minimize junk light right before bed. Switch up your news scroll with a bit of light reading before bed or use blue light blocking glasses like Swannies or TrueDark Glasses. It’s so easy to drag our daily baggage into our bedrooms by working on our laptops in bed or scrolling through Instagram first thing in the morning. Truth is, these habits are not as innocent as they seem and can actually cause serious damage your sleep cycle. Your bedroom is your sanctuary, a place to lay down and let sleep revitalize your body and mind. Leave everything else out of there and use your bedroom for sleeping only. Incorporating a nightly ritual into your routine is an excellent way to bring peace and calm to the mind. Try a gratitude journal, reciting a mantra, reading a few pages of a feel-good book, or pampering yourself with a short beauty routine or a detox bath. These are all mindful and relaxing ways of telling your body it’s time to rest, sending you into a tranquil and restful slumber. Circadian rhythm is your sleep/wake cycle. It tells you when to be tired and when to be alert, likely around the same time each and every day. The Circadian Rhythm is naturally connected to your brain because our bodies are synced with natural light; when the sun goes down, melatonin is released in the brain telling our bodies that we’re tired. Alternatively, when the sun rises, light hits our eyes and tells our brain it’s time to wake up. Yet outside variables can interrupt our sleep/wake cycle. That’s why it’s important to train your body to go to bed and wake up at the same time every day. Doing so will allow you to fall into your deepest sleep and stay there longer. When you wake up you’ll feel refreshed and ready for the new day. Also try to expose yourself to natural light in the morning to wake up your brain. Draw the curtains open and let the morning light flood in or get outside for an early morning walk. Caffeine... that lovely stimulant we love to rely on with our favorite tasty beverage. While it jolts us to life in the early hours, it has the same effect in the afternoon. Often, caffeine is the culprit responsible for keeping you up into the wee hours of the night with thoughts swirling in a million different directions. The general rule is this: don’t have any caffeine after 2 p.m. So many of us love that afternoon matcha latte, but remember, good sleep is crucial to keep you moving and grooving. Having an afternoon dose of caffeine may pick up you in the moment, only to leave you exhausted the next day from poor sleep. Ditch the caffeine in favor of a good night’s rest and you may no longer feel the urge for it. Is there anything better than falling blissfully into a cozy mattress and dozing off into your dreams? Not if you’ve got a comfortable mattress. Seriously, it may seem obvious, but a comfortable mattress is key to a good night’s sleep. Before you go test out that delectable memory foam California King you’ve been dreaming about, be sure it’s non-toxic. Often, memory foam mattresses can be filled with mold, a major hazard to your health. I recommend Casper Mattress for their non-toxic memory foam that is designed to feel balanced, supportive, and “just right, for your dreamiest sleep ever. Think about it. You spend 8 hours every night in your bed, do you want to be sleeping on toxic chemicals? Didn’t think so. It’s easy to overlook our bedding, but it’s ultimately a huge component to restful sleep. I recommend switching to organic and sustainable bedding with Coyuchi or Alterra Pure. Rest easier knowing that your bedding is good for the body and good for the planet. Here’s the deal with air: It’s filled with pollutants, dust, mold and all sorts of things that cause congestion and stuffiness. These things can also keep you up at night, restlessly tossing and turning. Keep the air in your bedroom clean with Molekule, an air purifier that traps small pollutants, bacteria and molecules and removes them from the air. Incorporate these 10 ways to optimize your sleep for uninterrupted, blissful dreaming. Wake up feeling revitalized and ready for anything the day throws at you. If you still need a little extra help try melatonin or cbd, great natural sleep aids that are gentle and effective. Sweet dreams!